Trying to find a good pair of bipolar speakers for a 5 channel setup to match my Polk 705 and 706c. The couch is a foot off the back wall. So looking to either put them on a tall stand or screw on the back wall. It is an open space floor plan so the room is wider than it is deep. Goal is to have sound in a defined pocket of the seating area. The 702's might not get the WAF due to their size. Could not find a similar thread besides ones just discussing FXI models. Any feedback is welcome. Thanks! The FXI A6 sound good, but are pretty large. They stick out about 9 inches from the wall, so I would suggest the smaller FXI A4 with your couch that close, if going with the FXI A series. Just think this is a case where bigger isn’t necessarily better. Just FYI, the 702s are not bipolar, but have only one midrange and tweeter that is angled about 45° from the wall. They will work best slightly behind for 5.1 or slightly ahead of the MLP for 7.1. The FXi50's that I have would be too large for you as well, but I just want to mention that going from bookies (RT25i's) to them made a world of difference in the surround effects. 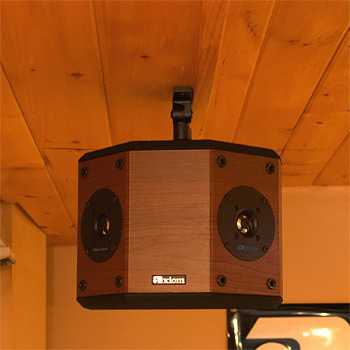 If you can find some bipole speakers that fit your space, you won't be sorry. I know someone that has some for sale!!! Mine appear to be spoken for and are pending payment. I was just asking. Lol. Thanks all I think I'm leaning towards some Fxi 4's on a pair of speaker stands so I could play with placement. They are cheap enough to experiment with and dump if I don't like them. 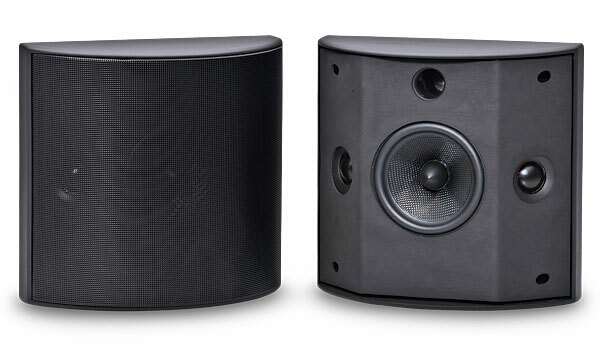 The FXI A speakers are very good sounding speakers, but a different type of sound from direct firing. Hopefully they’ll work for you. Cool are yours mounted or on speaker stands? Curious about placement. The sides are currently wall mounted and my rears are stand mounted. Can you share what stands you are using? I couldnt find many that are going to be 4 feet or higher. Right now I'm using a 34" Sanus from Audio Advisor for my rears. I've custom built my own to go higher. 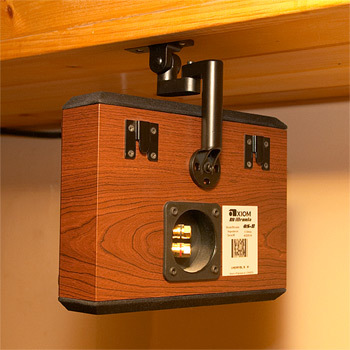 Any chance of mounting on the ceiling to the sides of the listener? Would created a true bipolar 5 ch surround effect. Then your back wall/ceiling is free to go 7 channel if you desire. If you ever want to add Atmos speakers in the future, you will want your side and rear surrounds (if any) just above ear level to give separation of the 5.1 or 7.1 bed layer from the height or ceiling Atmos speakers. Very nice mounting system indeed!!! I have my FXiA6's on 30 inch Sanus Ultimate stands with 1.5 inch tall spikes. This puts the tweeters at around 42/43 inches, a bit above ear height. I can't imagine why it's suggested to put them 6 feet up resulting in sound way above my head. In my case with the rear of the couch is just 2 ft from the wall and one side open to the kitchen so I don't have many options. I don't want the speakers too close to my head. Adding height (Mated with delay) helps with the lack of rear distance. My ears are about 40" from the floor when seated. My rears are about 64" (driver center point) on the 8 ft walls. They are dipole 3KHz up, monopole 3KHz down. I get the best of both worlds. Most surround effects are diffused rear or side sounds that don't seem to originate too high or too close. While not the most optimal setup it works all things considered. Thanks for posting this thread, it helped convince me to pull the trigger on some FXi A6's to go with my LSiM 705/706 front stage. Should get them on Wednesday!